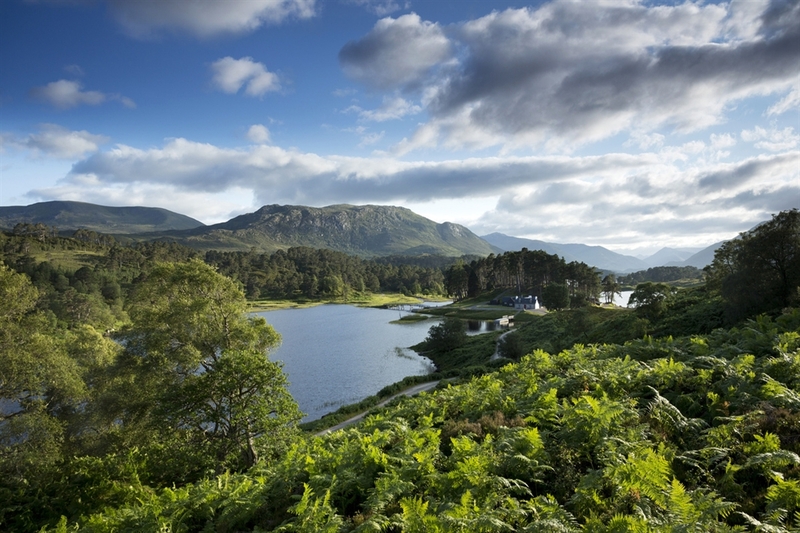 A magical mix of native pinewoods, glistening lochs and haunting moorland. 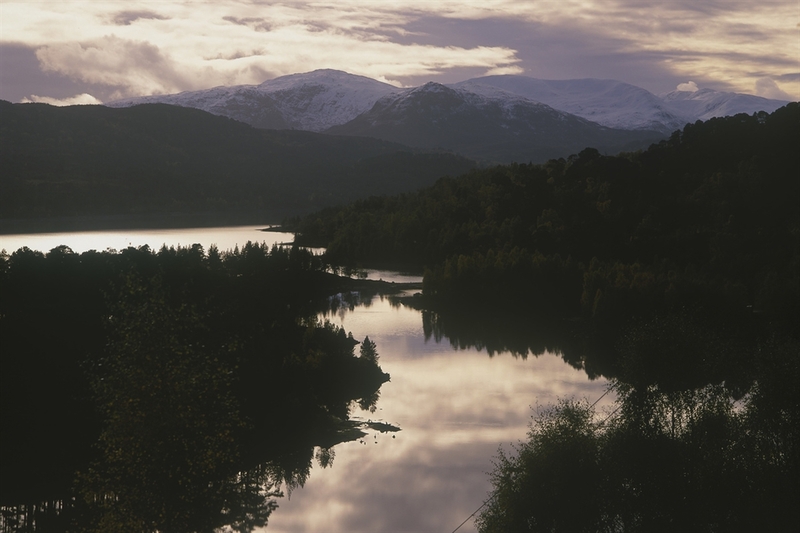 Glen Affric is a magical mix of native woods, glistening lochs and haunting moorland. 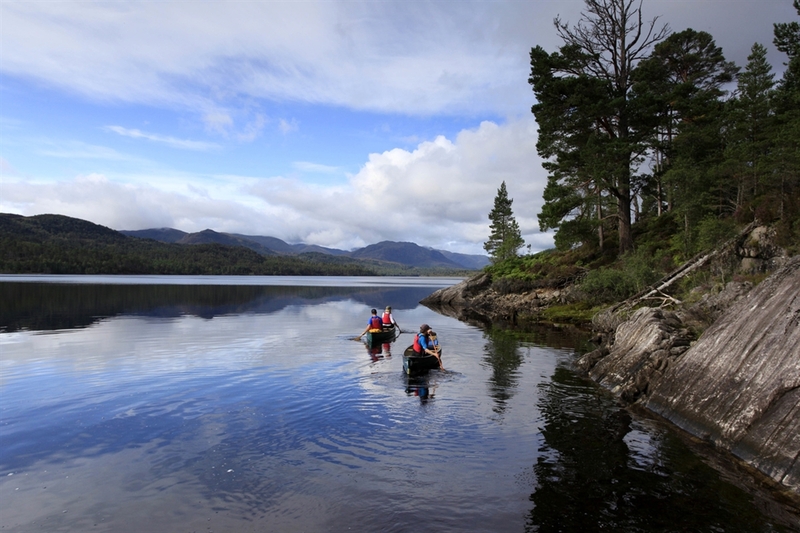 It features over 30 miles of ancient pinewoods and is one of the largest ancient Caledonian pine woods in Scotland. 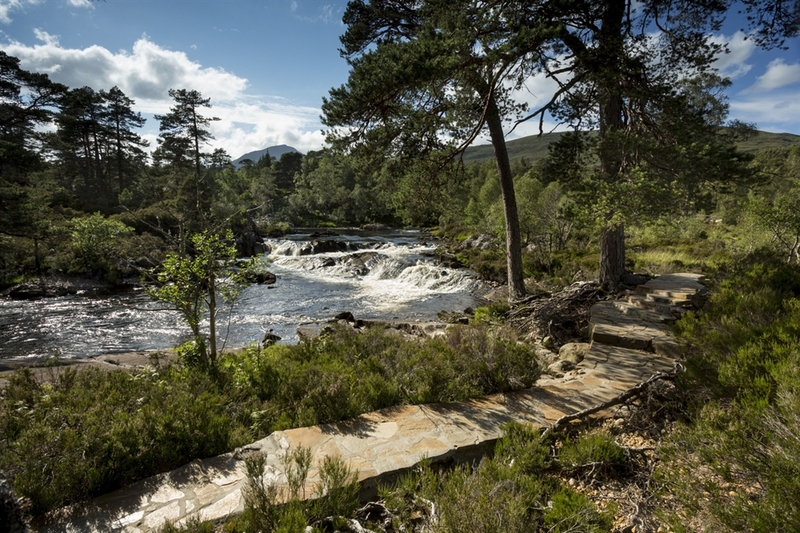 You can wander amongst the pine trees accompanied by the chirpy calls of woodland birds. Elsewhere you might encounter ospreys, secretive otters or red- and black-throated divers. Come in autumn and you’ll be inspired by the mosaic of colour and the echoing roar of red deer stags. Best Time To Visit: All year interest. Facilities: Several car parks with picnic tables, two seasonal toilets (one disabled), waymarked paths and Ranger service. An FCS guidemap is available. 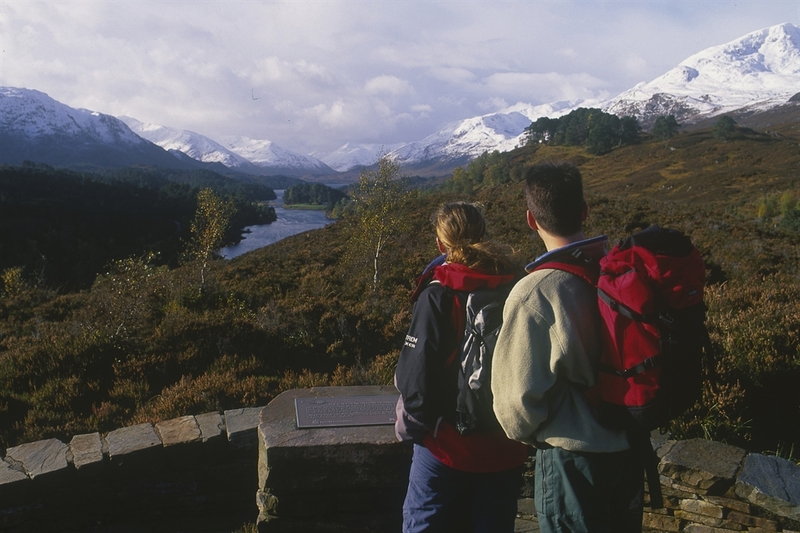 Camping, accommodation and shop in the nearby communities of Cannich and Tomich. Further Information: FCS, Inverness Forest District, Tower Road, Smithton, Inverness IV1 2NL. Tel: 01463 791575. Five miles west of Cannich on the Glen Affric road, off the A831. Infrequent bus service from Inverness as far as Cannich. 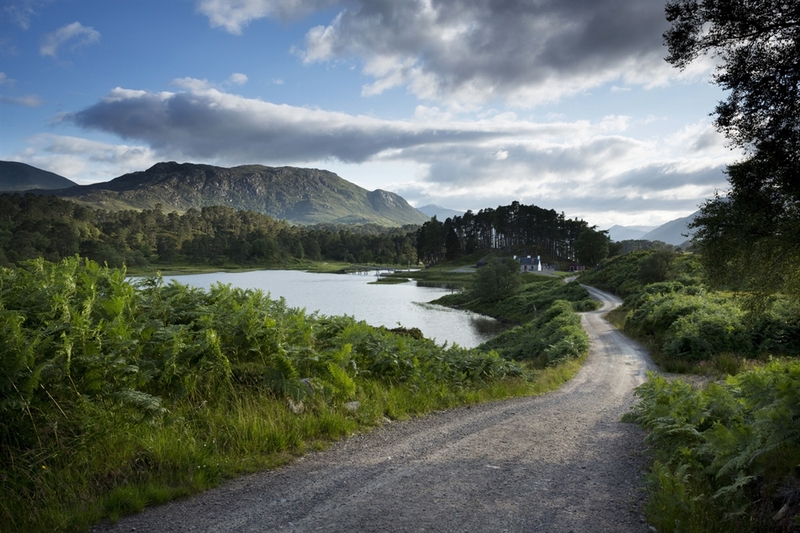 Buses run from Beauly to the head of Glen Affric from July to September and take bikes.